Ridgeline Open Space is nestled in the Meadows residential area of Castle Rock. 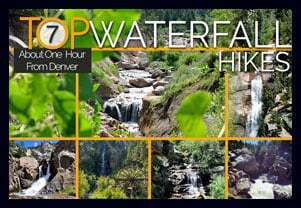 This network of over 13 miles of trails winds through elevated grasslands and gamble oak with a backdrop of distant snow-capped peaks of the Front Range. 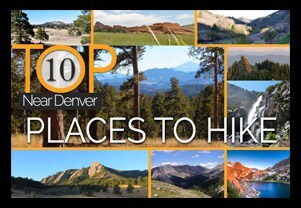 Hike it or bike it for a quick escape from the work week. 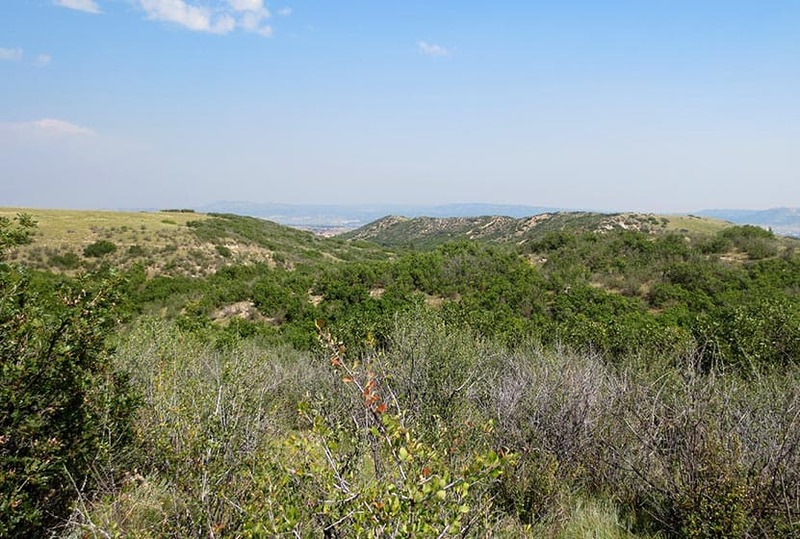 Explore the full Ridgeline Open Space hike profile below for trail map, driving directions, and more tips and details to help you enjoy this adventure in Castle Rock. From Denver, follow Interstate 25 south to Castle Rock and take Exit 182 and go west on Wolfensberger Road. Turn right onto Coachline and follow this until to Ridgeline Open Space Trailhead (on the left-side of the road). There is a restroom and map at the trailhead. 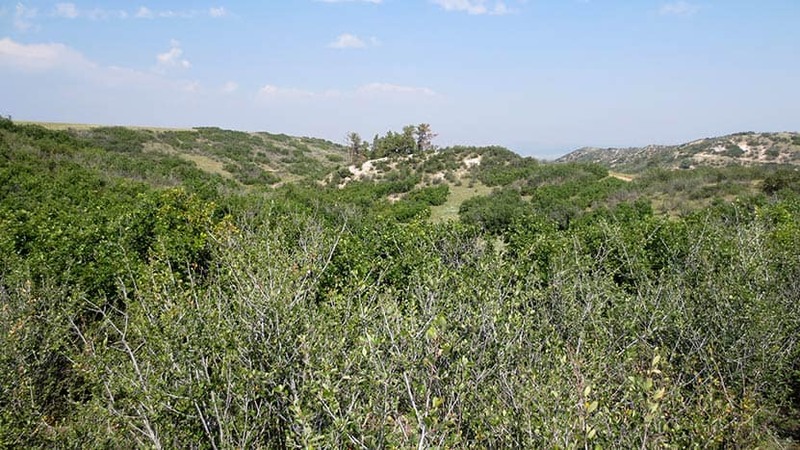 Alternatively, hikers can park at Bison Park in Castle Rock and access one of the several neighborhood access trails that lead into Ridgeline Open Space. 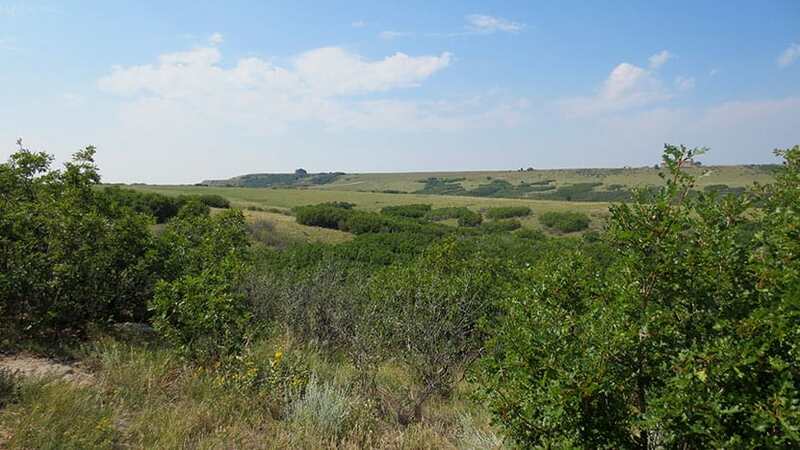 Ridgeline Open Space is one of our family’s favorite places to hike because it’s right in our backyard here in Castle Rock. 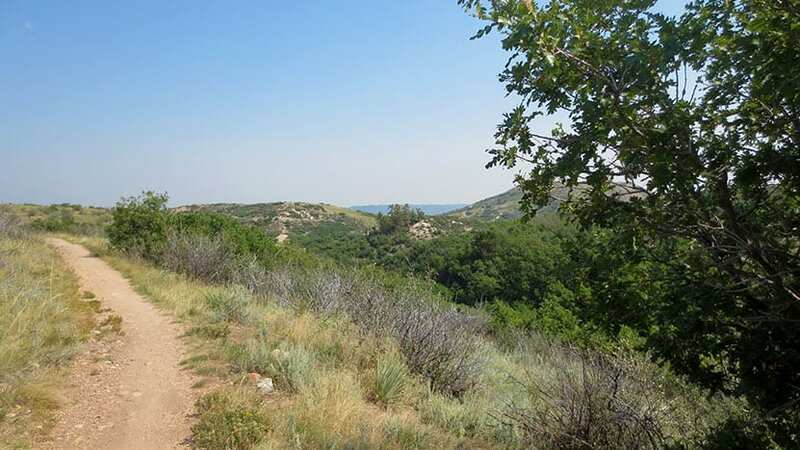 The residents of Castle Rock also use the 13.4 miles of trail for trail running and mountain biking. It’s quite a labyrinth of trails, but because it’s located right in the heart of a residential area, it’s hard to get lost (if you stay on the trail). There are maps posted at several junctions and trailheads along the network in the case you need to reorient yourself. Or print the map from the link above and bring it with you. Our approach is usually to go up to Ridgeline for an afternoon and see where the trails take us. You’ll likely encounter mountain bikers along the trail. Most are locals and are very considerate of hikers. Less considerate are the rattlesnakes. I’ve yet to run into one, but my neighbor was stopped short by a rattler recently while trail running. Rattlesnakes are only aggressive when threatened, but they are easy to stumble upon because they are so well camouflaged. So, keep your eyes peeled as you hike. Mountain Lions also frequent the area–like most trails along the Front Range–because of the plentiful deer population. It’s wise to always keep your kids near when hiking and not running up the trail ahead on their own. This is just good practice on any trail, but I mention it because we have seen Mountain Lion prints in the mud on one of the western trail segments. Ridgeline is aptly named because it is situated above the town and offers great views out to Longs Peak, Indian Peaks, Mt. Evans, Devil’s Head to the west, and Pikes Peak to the south. Deer bed down in the grass between the gamble oak and birds flit from tree to tree along the trails. Rattlesnakes: Keep an eye out for rattlesnakes that sun themselves on rock and the packed, warm surface of the trail. Hiking with Kids: As always, hike as a group, keeping small children near you. Mountain lions live in the area (as with most front-range hikes), and the sight of a small creature running alone on the trail can signal a lion’s prey response. Sunscreen: This hike is 100% exposed to the sun’s rays, so be sure to wear a hat and apply that sunscreen. 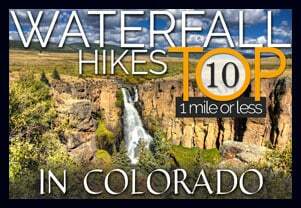 More Hikes in Castle Rock Colorado: Castle Rock Trail, Waterfall at Castlewood Canyon, East Plum Creek Trail.